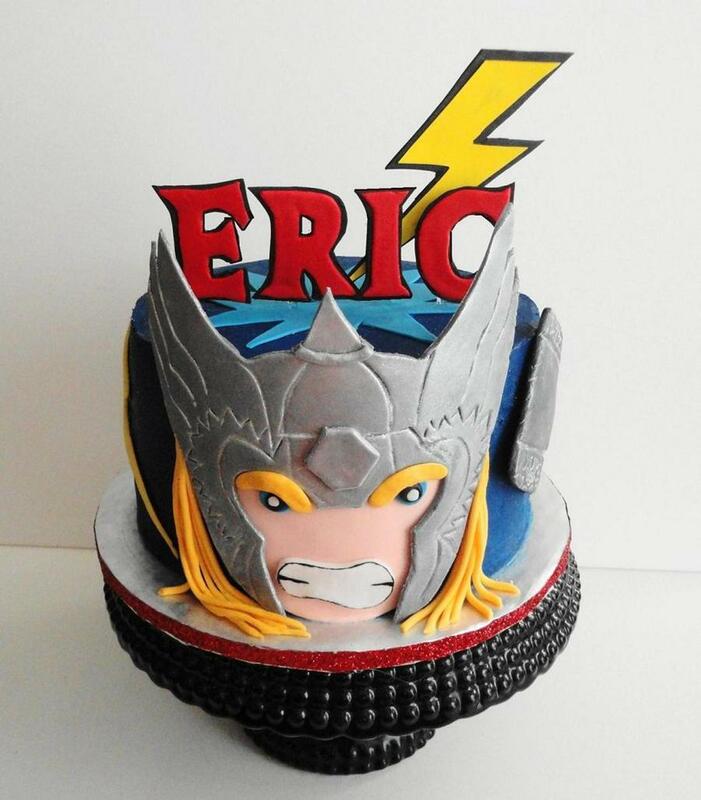 The Thor Cake. 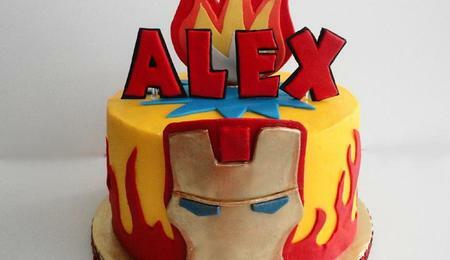 Part of three cakes I did with an Avenger theme for two little boys. Cake is chocolate with fresh strawberry filling, chocolate buttercream with a couple of thin layers of blue buttercream topping it to give it the blue background. 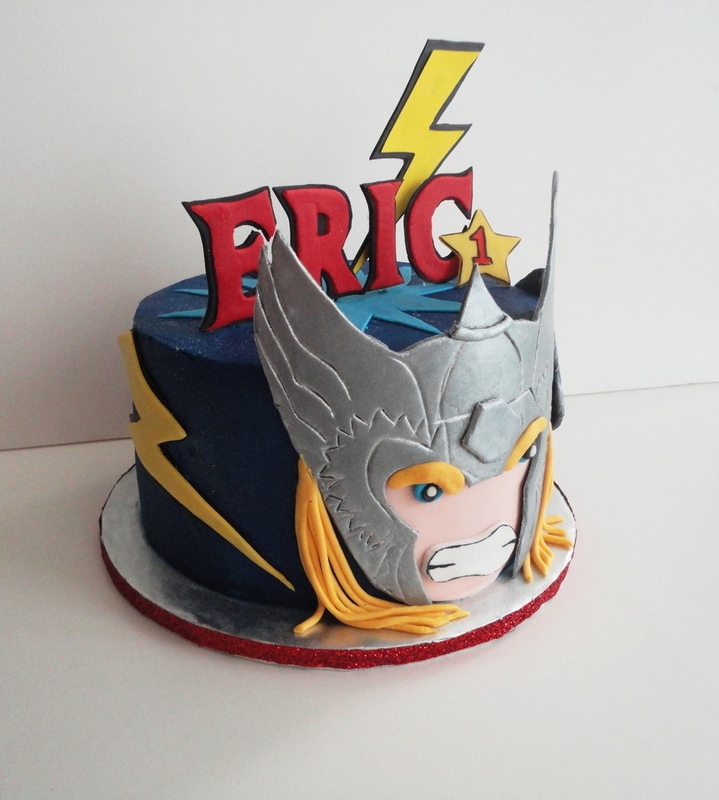 Hand cut gum paste letters, silver helmet and lightening bolt. Fondant face and hair. I used silver luster dust on grey fondant for the helmet.